And yes, I'm referring to this one as one of the biggest movies of the year, and frankly has also been my most anticipated movie of the whole year. Last year's Unexpected Journey did not receive highly positive acclaim, while some (including me) believed that it properly sets up the story & the world for what's to come next. I just have to mention that everyone's eyes will be looking towards the dragon in this sequel, having its name in the title, teased in the first movie, and shown part of, and his voice, in the trailers. The dragon is certainly the biggest thing here, but the trailers itself promises more action, more drama, and certainly more than just dwarves and hobbits (but elves and men and spiders and orcs and everything that makes Middle-Earth the world it is). Note: The first two trailers are just among the best I've ever seen. The teaser trailer is super brilliant, with an amazing soundtrack, as well as teasing the dragon in the end (being the core of the movie). The main trailer is just worth the watch because of what it shows, as well as the dragon's voice. 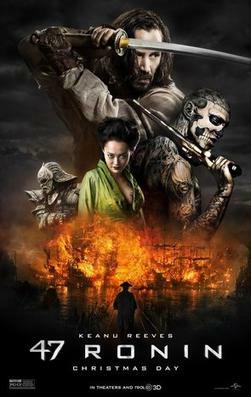 An American fantasy film, featuring an ensemble Japanese cast. Keanu Reeves is the only American actor in the movie, but even so, you got to admit he's got that Asian look in him. I have to say, the trailers did look cool, with science-fiction action in a fantasy world. Oh, they have a dragon as well. But to be honest, I didn't feel convinced in a way. The story is of a classical & traditional tale, but with a fictional take to make it an entertaining science-fiction. But I have doubts on the quality of the story. And the stylishness of the action sequences could be annoyingly far-fetched and be a drawback for mature audiences. 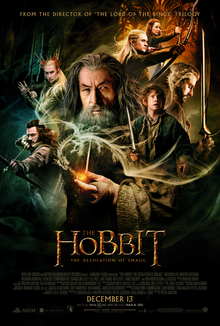 But still, the trailer displays some decent fantasy action, and curiosity may just drive me to go and watch this.